Small Boutique Hotel in Bostons Hip and Historic South End. Our combination of value and convenience is ideal for the business traveller or tourist seeking a friendly spot. Considered one of Bostons prettiest neighborhoods the South End is filled with great restaurants shops historic townhomes brick sidewalks and tree-lined streets. 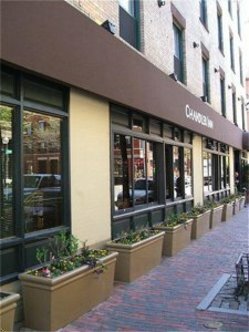 The Chandler Inn Hotel is within walking distance of fashionable Newbury Street Copley Square the Prudential Center and the Hynes Convention Center. Easy access to all Boston sightseeing and attractions from the Back Bay /T/ station just 2.5 blocks from the Chandler Inn Hotel. Public Parking is available nearby. The Chandler Inn Hotel offers Standard Guest Rooms and new Boutique Guest Rooms all with complimentary wireless. All Standard Guest Rooms feature TV with satelitte telephone with voicemail and private bath. Our new Boutique Guest rooms feature chic modern design 32/Plasma Tv I-pod docking and marble bathrooms with walk in showers.